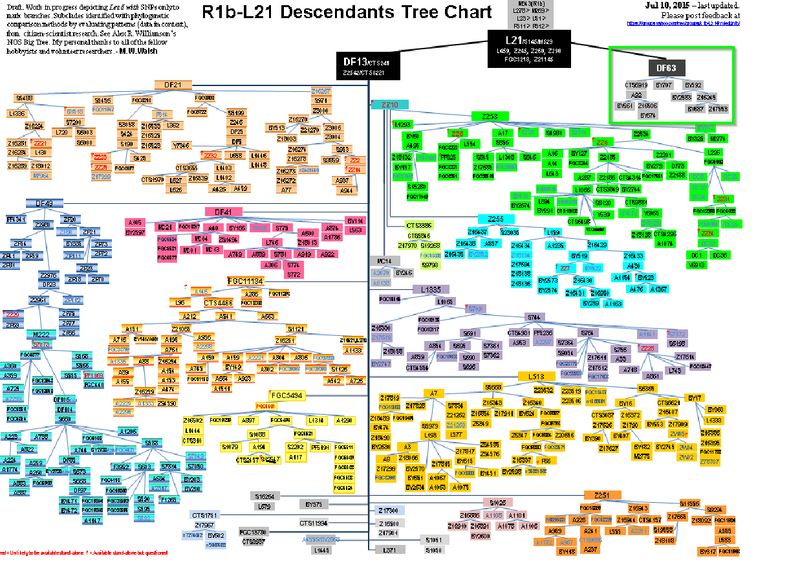 Cousin Rusty’s YDNA – MacFarlane or James? I recently had an email from my Cousin Rusty. He had received an email from some from a member of a James surname project telling him that he belonged to the James family originating in Wales. I’m sure that was a surprise as Rusty was thinking that due to an Irish adoption and YDNA testing that he was actually a MacFarlane. So which is it? I had taken a look at Rusty’s YDNA in this Blog in April 2017. That was two years ago. Could things have changed that much in two years? At that time, Rusty had done the 37 STR test and had just upgraded to the 67 STR test. Under that SNP almost all the people who had taken the Big Y test were either MacFarlanes or MacFarlands. Under BY674 were 13 branches of variations of MacFarlanes. That means that if Rusty tested for these SNPs, he would have a good idea of which branch of MacFarlanes he was from. Of course, this is doing it a bit backwards. It is assuming that Rusty is a MacFarlane first. Technically, it would have been better to do the SNP testing first and then determine that Rusty was a MacFarlane. A month after my Blog, I got an email from Rusty saying he tested for DF63 and was found to be postive for that. That confirms Rusty into the MacFarlane group from the Big Tree above. Previously, there were 13 branches under BY674. Now there are 20. 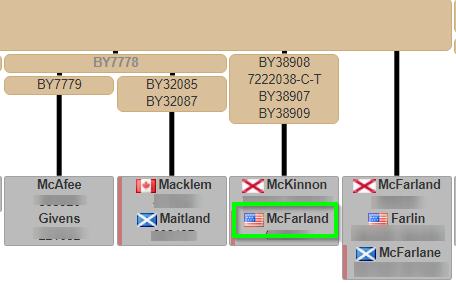 Almost every branch has a MacFarlane or MacFarland. I don’t see any James surnames. Actually there are seven major groups under BY674 and then some additional branching under those 7 groups. The last three people on the right descend directly from BY674 with no sub-groups. I don’t see any James surnames. That means that they don’t belong in this group or none of the James that match Rusty have done the Big Y test. The flags by the tested people’s names are meant to show where their earliest traceable ancestors of the YDNA-tested people came from. I count 14 Flags from Scotland and 7 from Northern Ireland. Rusty’s known Irish ancestors were from Northern Ireland. BY674 takes up about 2/3 of this Lennox Cluster. Cadets Lineage. [Scions of the mormaers/earls of Lennox if not also of their branch the Macfarlane clan chiefs.] This is our project’s largest lineage (including its sub-lineages) consisting of over one hundred eighty men, several of whom can trace their respective descents from the earls of Lennox via the Macfarlane chiefs through one or another of their cadets. 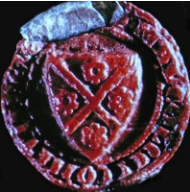 In a Scottish clan yDNA project the largest lineage found should always be that of the chiefs and their cadets and thus it is in our case even though the House of Lennox consists of three extant clans (Lennox, Macfarlane, & Leckie) rather than just one. 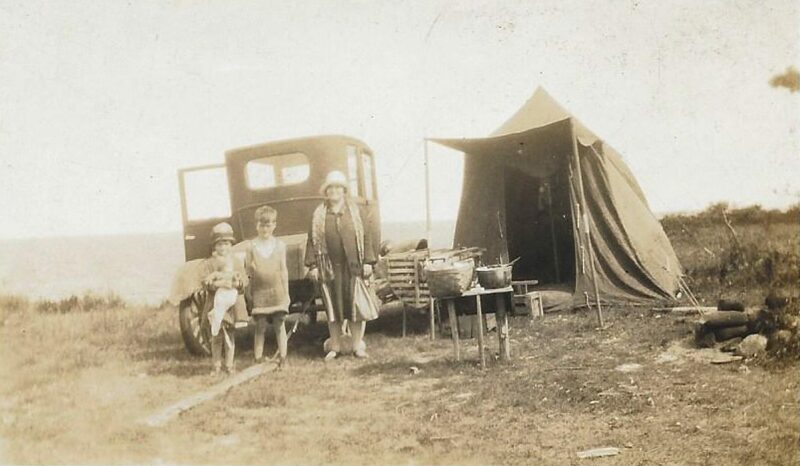 As the Macfarlane chiefs descended from a younger son of the second earl of Lennox those men in this lineage who have agreed to show their cadet house on the yDNA test results page start with “Lennox” for the earls, then “Arrochar” for the chiefs, and then whichever cadets and/or sub-cadets they may belong to such as “Gartartan.” To appear in this lineage on said page a man must have done some level of yDNA STR testing (12, 25, 37, 67, 111 markers or the Big Y which now includes over 700 markers). Once his markers (however many) are displayed on our project’s yDNA test results page further applicable testing will be recommended in the most beneficial order: the Big Y; the R1b-DF63 SNP Pack; a single SNP test; upgrading STR markers; and finally the Family Finder. It has been found that SNP F489 was carried by the Lennox dynasty, and hence the Macfarlane chiefs, therefore every member of this lineage should SNP test for F489 as soon as possible (unless they have already taken the R1b-DF63 SNP Pack or the Big Y). Furthermore it has been found that SNP BY674 was carried by the Macfarlane chiefs, therefore all the Macfarlane surnamed men of this lineage should SNP test for BY674 as soon as possible (unless they have already taken the R1b-DF63 SNP Pack or the Big Y). The men who have only tested their yDNA STR markers need to at least take a SNP test as mentioned above or take the R1b-DF63 SNP Pack to confirm that they belong in this lineage. It is important that as many of these men as possible take the Big Y Next Generation Sequencing SNP test, as this will reveal more details about the ancestry of the mormaers/earls of Lennox and how the various branches descended from them. Please note that the Big Ycan be ordered without already having taken any previous STR testing but the price is higher to do so. Once they have finished testing their yDNA, as above, they should consider testing their autosomal block DNA via the Family Finder so that we can more accurately define the relationships within this lineage (i.e. branching within the last several generations possibly beyond the reach of the Big Y). As several of the men of this lineage can trace their respective descents from the Macfarlane chiefs and the earls of Lennox, and all the participants’ yDNA STR test results are very close, it follows that all the men of this lineage must descend from the chiefs and/or their ancestors the mormaers/earls. [NOTE: Those listed in this lineage who do not bear a variant of the Macfarlane (or Lennox) surname may have come off the line of our chiefs (or the mormaers/earls) before surnames became fixed or from fosterage, adoption, or an extra-marital event.] And given this descent from the chiefs and/or earls it is critical to House of Lennox and Macfarlane research that all the members of this lineage test as much of their individual yDNA (STRs and SNPs) and autosomal block DNA as they can afford over time. Once they have completed their own testing we hope that they will consider contributing to our project’s General Fund to help fellow lineage-mates upgrade their testing. To help find lost cadets, they should set their “Personal” page “User Preferences” to compare their test kit results against the lab’s entire database rather than limit it just to our project’s database. 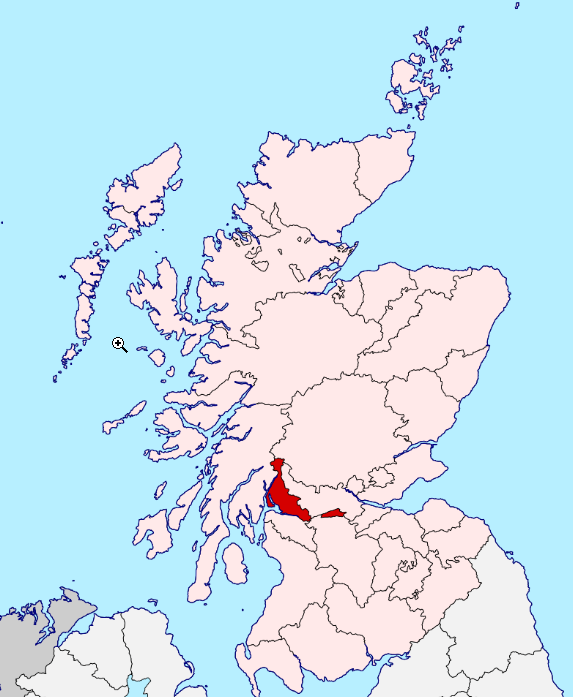 The County is callled Dumbartonshire. The red are SNPs that Rusty tested negative for. The blue are SNPs that haven’t been tested. They weren’t in the SNP pack or are new since Rusty took the test. It looks like there are 7 major branches. Rusty was negative for three branches. He didn’t test three branches. 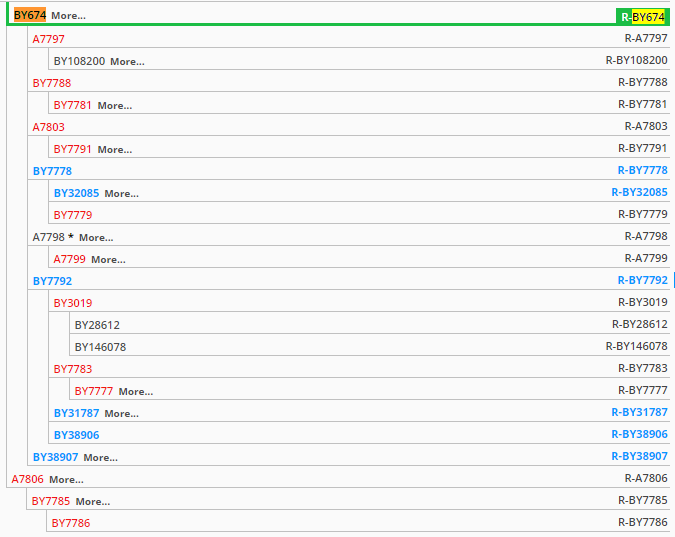 One branch he tested for a sub-branch, (A7799) so may not be positive for the main branch (A7798). I crossed out the parts that Rusty tested negative for and put a green box around what he hasn’t tested for. That narrows down his options. These three SNPs are in what is called a block. If Rusty had taken the Big Y test, it is possible that he could have broken up this block, but not likely, so my guess was that he would have tested negative for A7798. Rusty is possibly in the last three green squares (as well as possibly being in the previous three green squares. The last square is not obvious. Rusty would be in that box if he were BY674 and tested negative for all the branches. Here the Big Tree has McFarland as BY38908, but that is equivalent with three other SNPs including BY38907. It could be that if Rusty were to take the Big Y test, then there would be more branching under BY38908. McKinnon in the same group may be Rusty’s third STR match above. Rusty’s fourt match is McAfee I see a McAfee under BY7779, but Rusty already tested negative for BY7779. My best guess is that Rusty belongs in the box with McKinnon and McFarland. I note that the third match on Rusty’s STR list is McFarlin who is BY7777. This is in the first group under the Big Tree above and I had eliminated it due to Rusty’s SNP Pack results. What About the James Line? The top unnamed light block is DF63. Five blocks down from there we reach BY674 where Rusty is. If I am reading this correctly, Rusty and the James Family share the L21 SNP. L21 has been around since about 2500 BC, so the connection between Rusty and the James family could go back pretty far. This chart shows the two main branches of L21. DF63 is on the top right. All other branches are everything not in the green box. That means that these two branches probably separated a long time ago. Rusty is part of the BY674 SNP Group. This group is very specific to a Cadet Line of the Lennox Clan and is very well defined. That Cadet Line is MacFarlane with some name varations. This BY674 SNP group is now up to 20 sub-groups. Rusty has been eliminated from about 14 of these groups by YDNA testing. That leaves 6 groups he may be in. Rusty’s matching to the James family by STRs is coincidental. Any match to this group could go back 4,000 years or more based on SNPs. Whenever there is a discrepancy between STRs and SNPs, the SNPs are most accurate.